Dubai saw property deals worth Dh259 billion in 2016, latest data shared by the Dubai Land Department (DLD) shows. Even as this marks a modest decline of 2.99 per cent over the Dh267 billion worth of transactions conducted in the emirate in 2015, it is still more than the GDP of 122 countries (including some regional countries like Oman, Lebanon, Jordan and Bahrain, among others). Interestingly, data also shows that mortgage deals accounted for a majority of deals (by value) in 2016, which further gives credence to the fact that the Dubai market has achieved a level of maturity. In 2016, 41,776 sales transactions accounted for Dh103 billion while 15,000 mortgage deals amounted to Dh128 billion. In 2015, sales crossed a value of Dh130 billion (48,000 transactions), while mortgages crossed Dh117 billion (12,000 deals). The emirate looks set to gain further momentum this year, says the DLD report. Sultan Butti bin Merjen, director-general of DLD, said the findings confirm that the Dubai real estate market has reached a new phase of maturity and stability. He added that the Dubai market will gain further momentum in 2017. In a statement on Saturday, the DLD said building sales recorded 2,626 transactions worth Dh7 billion, while units performed 29,258 transactions worth Dh51 billion. In addition, the report records 1,391 building mortgage transactions worth Dh3.4 billion, and 8,000 unit mortgage transactions valued at Dh10.5 billion. “The total value of transactions reaching Dh259 billion reflects investor interest in Dubai’s property market and will silence its critics. This shows that Dubai is still the best investment destination when it comes to the property sector,” says Mahmood Shaikhani, managing director of Shaikhani Group. “The total value of Dh259 billion is higher than most countries’ annual gross domestic product. This reflects the magnitude of the real estate sector. With the latest set of regulations and the level of transparency, Dubai remains a very attractive place for real estate developers, brokers and investors,” says Noorul Asif, chief operating officer of Schon Properties. As has been the case in previous years, the leading investors were UAE nationals with their investment of nearly Dh22 billion. GCC citizens contributed Dh35 billion – Saudi Arabian investors made transactions worth Dh8 billion, investors from Qatar and Kuwait approached the Dh2 billion mark, followed by nationals from Oman and Bahrain who contributed up to Dh1 billion. Arab investors from outside the GCC contributed over Dh12 billion. Among them, Egypt ranked highest in number of investors, with 1,364 investors making transactions worth over Dh2.4 billion. Other leaders in number of investors were Algeria, Iraq, Lebanon, Palestine, Sudan and Yemen. Jordanian investors ranked highest in terms of value, investing Dh2.5 billion. Foreign investment approached Dh44 billion last year. Indians rank highest in terms of both volume and value, making Dh12 billion worth of property transactions across 6,263 investors. However, this was down from Dh20 billion worth of investment that Indians made in the previous year. Pakistan contributed Dh4.4 billion worth of property transactions, while British investment totalled Dh5.8 billion. The market also witnessed activity by investors from Canada, China, France, Iran, Russia and the US. Burj Khalifa and the area around it recorded the highest value for property sales – more than Dh7 billion from 2,097 transactions. 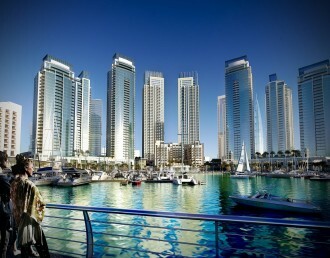 In second place was Dubai Marina, which pulled in Dh6.3 billion from 2,937 transactions. Business Bay was in third place with Dh6.2 billion. But in terms of volumes, Business Bay was the winner, clinching 3,508 deals worth Dh6.2 billion. This was followed by Dubai Marina, Jebel Ali 1, Burj Khalifa and Warsan 1. In terms of land sales, the most popular areas in 2016 were Seeh Shuaib, Al Yafra 3, Al Yafra 2, Al Hebeya 3 and Shaikh Mohammad Bin Rashid Gardens. In terms of individual unit sales, Business Bay took first place with 3,491 transactions valued at Dh5.1 billion, followed by Dubai Marina with 2,923 transactions exceeding Dh6 billion. Jebel Ali 1, Burj Khalifa and Warsan 1 were the next most active areas for unit sales. DLD data indicated the entry of 55 new developers last year. There were 134 new projects launched worth Dh100 billion while 62 projects were completed.